These rings vary in size and price. 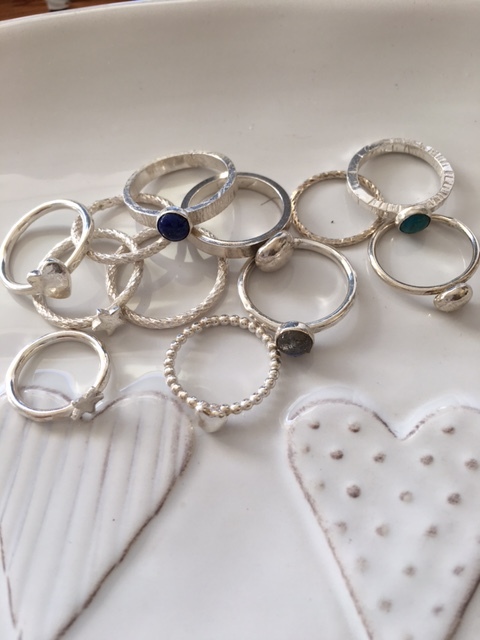 For general guidelines the gemstone rings pictured are £35 each, the small nugget rings, the heart and star stacking rings are each £25 and the plain stacking rings £10 to £15. Please contact me to order a specific ring or set of rings or for other gemstones.